Beautifully remodeled 1 bedroom / 1 bath ground floor condo in park-like setting. Updated kitchen with granite countertops. Remodeled bath with new vanity, sink and surround. Rich laminate floors, raised panel doors and recessed lighting throughout. Large bedroom features wall to wall mirrored closet. New electric panel and heating system. Living room overlooks patio and greenbelt with oak and towering redwood trees. Complex amenities include lake and streams, 2 pools, spa, tennis courts and clubhouse. 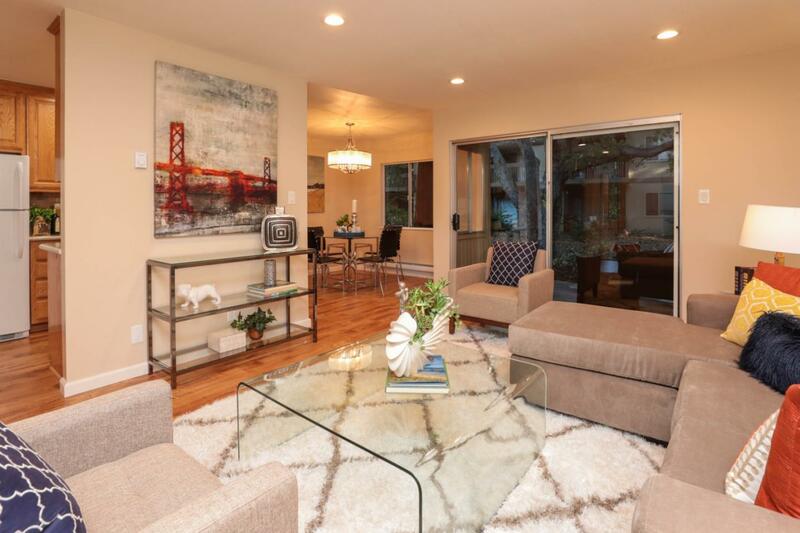 Just 1 block from CalTrain, Light Rail and downtown Mountain Views many shops and restaurants.